Picton Castle was one of five similar trawlers built by Cochrane’s in Selby, all named after British castles. (The actual Picton Castle in Wales is still standing.) The other “castle” ships have all been taken out of service. Picton Castle went through World War II as a mine sweeper in the British Royal Navy. In 1955, she was sold to Norwegian owners and overhauled to be powered by a diesel engine and other auxiliary engines. Under the name Dolmar, she freighted up and down the Norwegian coast for years, going as far as Russia and Portugal. She was taken out of service in the late 1980s when railroads made her uneconomical. The captain, Dan Moreland, bought her in 1993 in Vedevegan, Norway, had her checked out, repainted and readied for the transatlantic trip and with a small crew, motored her across the Atlantic in April 1994. 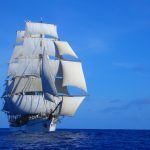 For two years she was docked at South Street Seaport in New York, as the Windward Isles Sailing Ship Company was formed and funds were invested to transform this ship into a beautiful square-rigger. 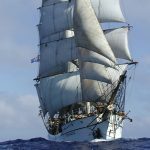 During 1996 to 1997, she was brought to Lunenburg, Nova Scotia, home of the traditional fishing schooner fleet off the Grand Banks. 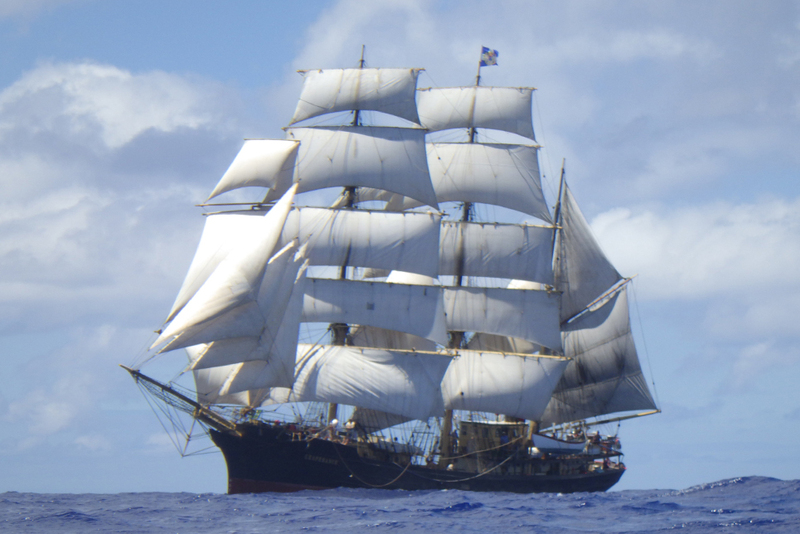 There she was completely overhauled and refitted as a sailing vessel, and once again named Picton Castle. 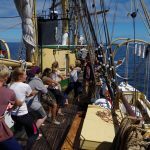 Her inaugural global voyage as a sailing vessel began on 25 November 1997 in Lunenburg and ended at the same port in June 1999. 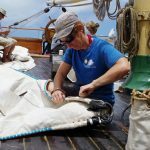 She carries 12 to 16 professional crew and 26 to 30 paying amateur crew. 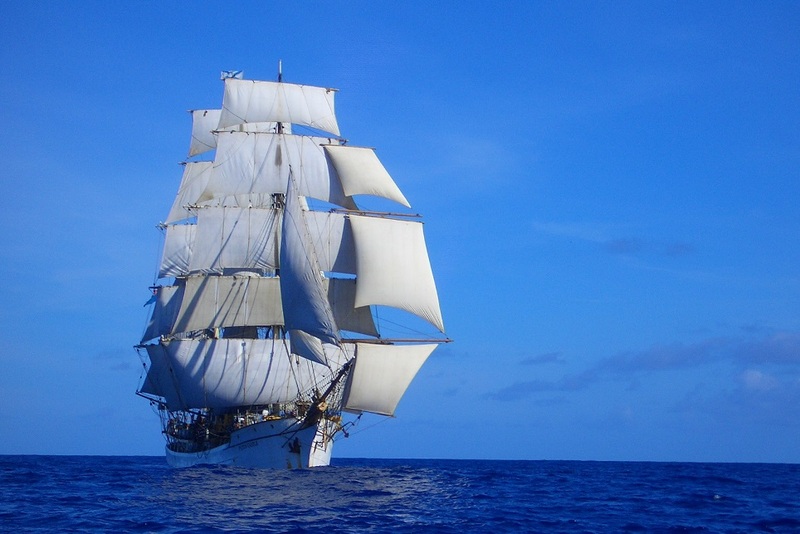 Picton Castle offers real, authentic adventures, because trainees are truly involved in all aspects of sailing the ship. 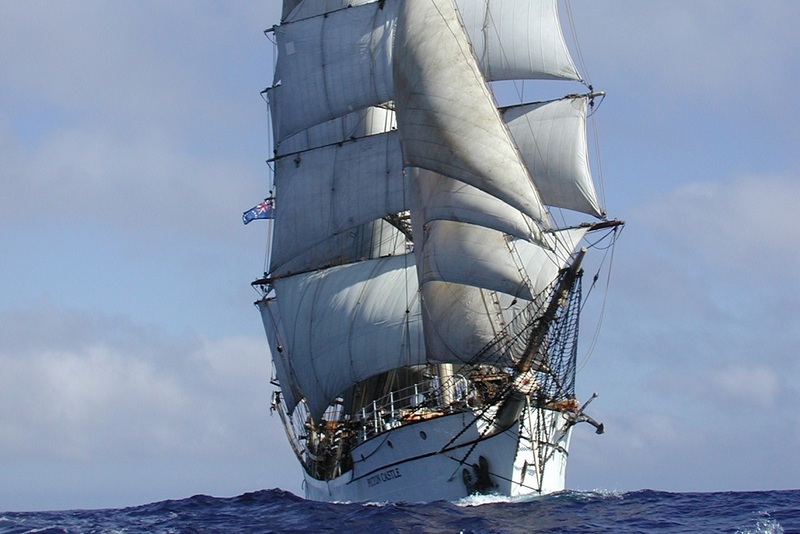 Sail for a personal challenge or for career training, and be a part of an international crew. 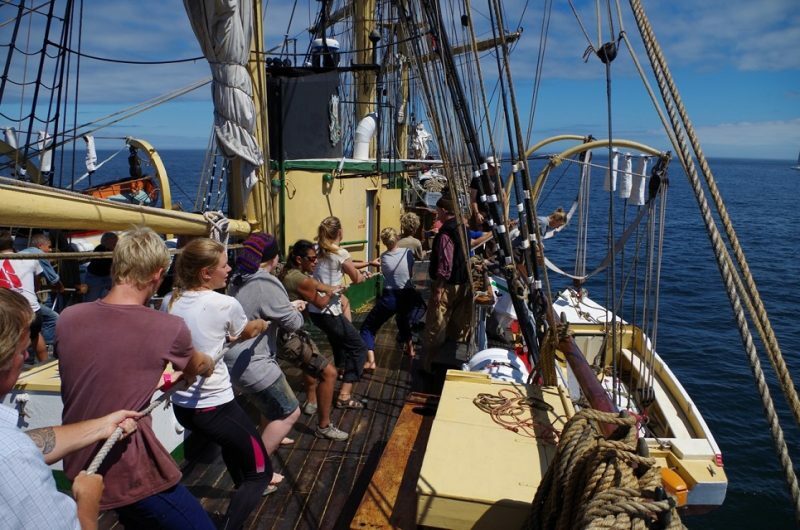 Trainees stand watch alongside professional crew members and learn through hands-on work aboard Picton Castle. 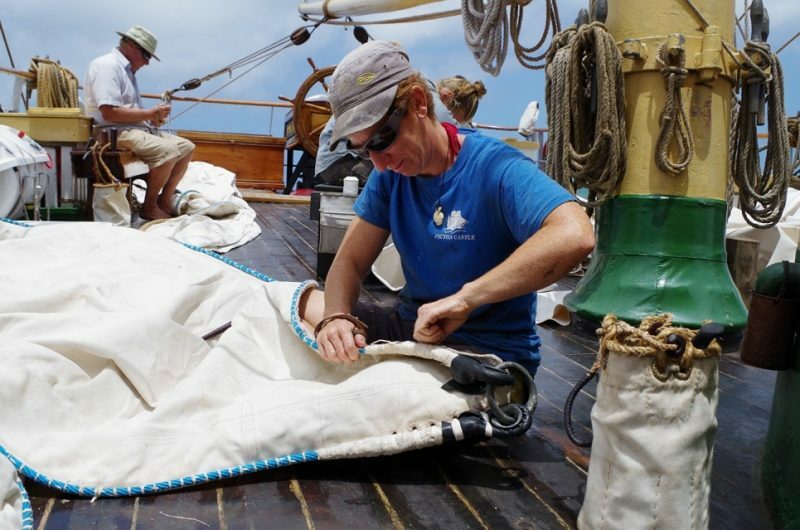 We preserve traditional seamanship skills and pass them on to interested crew members. Going aloft is optional.